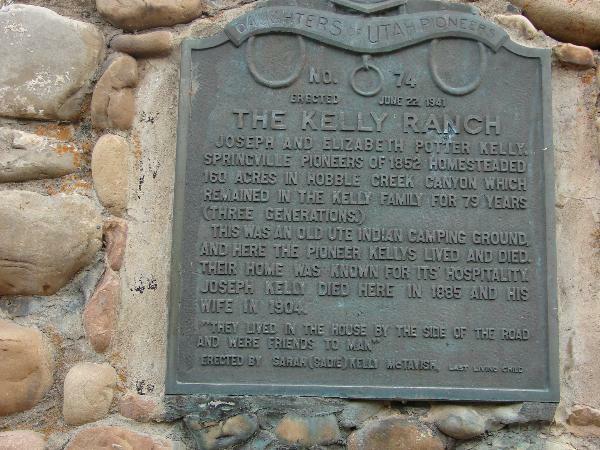 Joseph and Elizabeth Potter Kelly, Springville Pioneers of 1852, homesteaded 160 acres in Hobble Creek Canyon which remained in the Kelly family for 79 years (three generations). This was an old Ute Indian camping ground, and here the Pioneer Kellys lived and died. Their home was known for its hospitality. 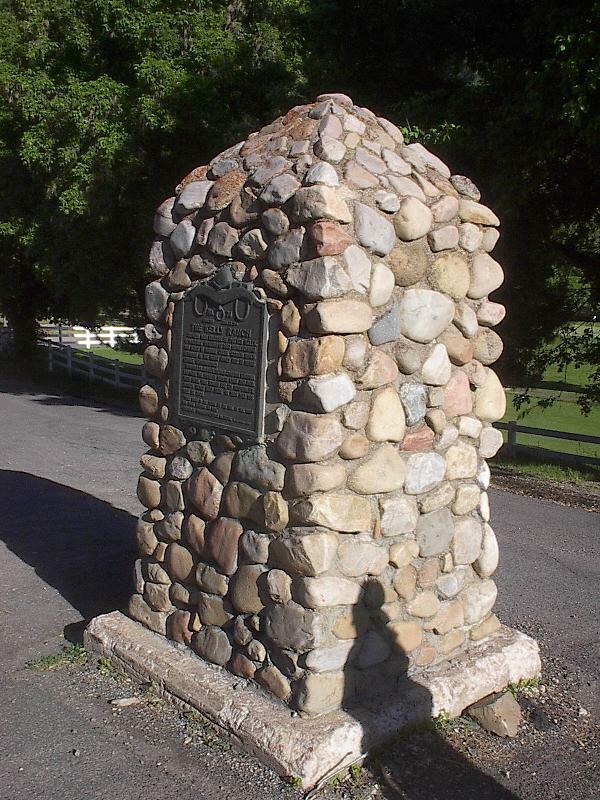 Joseph Kelly died here in 1885 and his wife in 1904. “They lived in the house by the side of the road and were friends to man”.